A relatively new propaganda seems to be on rage these days – that Prophet Muhammad (pbuh) has been prophesised in Hindu Scriptures. This seems to be a great hit in major Islamic websites over last few years. It is also very useful in increasing the effectiveness of conversion programs driven by vision of making India a Muslim among country within next 5 years (as resolved by Maulana Abdullah Tariq recently on Peace TV). And why shouldn’t it be effective. First, it is proved that the Kalki Avatar mentioned in Bhavishya Puran is none other than Prophet Muhammad. Second, it is also demonstrated that Vedas, the final authority in Hinduism, themselves sang praise of Prophet Muhammad. Now the entry barriers for a Hindu in embracing Islam are suddenly evaporated! All that a devout Hindu is doing now is accepting the directions of his own religion with further sincerity. Thus, when a close friend of mine, who is an expert in Islam, visited a prominent temple in the heart of Lucknow, he was greeted by the head priest. He could see marks on forehead of the priest. When discussions continued on matter of religion, the priest explained to him how Prophet is the final goal for every Hindu and how Islam alone can save humanity. Now my friend realized that the mark on the head was out of 5 times of daily prayer in submission to the legend who has been prophesised in Hindu Scriptures! And this is the new direction of Islamic conversion techniques that he has been witnessing. The founder of this hypothesis is none other than the stage-performer Dr Zakir Naik who can recite page number, chapter number and verse number for any book on earth. His style is so hypnotic and entertaining that the audience no more has the space to check relevance of his references. The same style is evident in his writing as well, which form the basis of his memorized speeches. And now, the confused Muslim youth has found a new passion that confirms their seat in Paradise. They would simply copy-paste from his articles and spread the good word around on internet forums, blogs and social networking sites. The print outs are circulated in colleges and schools. This is often very effective against certain less-well-versed Hindus who fall under the ploy. Muslims have been in India for around 1000 years now. And for majority of the time, they were ruling this country. Why is it that Muslims could not discover this obvious fact in so many years? In fact, study of Vedas and Purans were more popular in those times than it is today! Why is it that no commentary on Vedas written by anyone since Vedas were first authored (they are considered the oldest books) could ever discover such an important fact which is to decide the fate of the world?After all, as per Dr Naik and Quran, the only way to book a ticket to Paradise is by believing in Prophet Muhammad to be the last Prophet and his message being the only authoritative message of God! Thus no message of Vedas can be more important than this message, if it is indeed a true fiction! They talk about Muhammad being mentioned in the Hinduic scripts. Even few logics are also presented. But the thing is they know not Hinduism in deep. I bet no one does... The four legs of the horse represents the four Vedas (Rig, Sam, Yajur and Atharva Vedas). 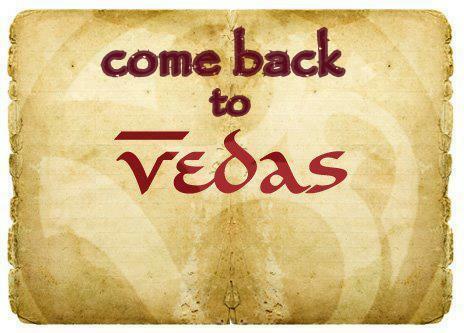 Here's the truth ... Ved Vyas was only the knower of Rig Veda, Sam Veda and Yajur Veda except for the Atharva Veda. Atharva Veda was never explained by anyone... I mean none, not even Vyas! So, one of the few tasks of Kalki becomes - to explain the knowledge of Atharva Veda (symbollically - the fourth leg of horse). I'm saying this because Prophet Muhammad had never ever explained the knowledge Atharva Ved in the Mecca, or did he? Please, ask this question to those who claim that Prophet Muhammad to be Kalki. But why are the leaders presenting "Muhammad" as "Kalki"? ... You know Why? ... cuz they don't know who Kalki is ... It is just their hunch! ... Yeah, few similarities are presented but I think that isn't fully sufficient to prove that Muhammad is Kalki. the Kalki of Hindus!!! And not even the Hindus or the Muslims ever knew of this fact!!! Rasul Muhammad's spirit was also present in Kalki (or Mahamati Prannath)!! And Mahamati Prannath is Kalki because he had explained the Atharva Veda in its original sense!!! Thus, by explaining Atharva Veda, Mahamati Prannath (the Kalki) has ridden his horse! Also download the biography of Mahamati Prannath by clicking here, and read it for yourself if you don't believe me a bit!! !